I realized years ago that I felt most at home in nature. Creating was my way to slow down, connect, and pay attention to what was unfolding around me. The language of nature began to speak to me early on…beetle trails in dead trees…duckweed floating on swamp water…mayapples unfolding from their speckled sheath...and I learned to listen closely. Sketching and painting natural phenomena satisfies me greatly. And yet, I have found the sharing nature and helping people attune their eyes to this living language is something I am compelled to do. I simply enjoy teaching and the creative process. So, let me be your guide. 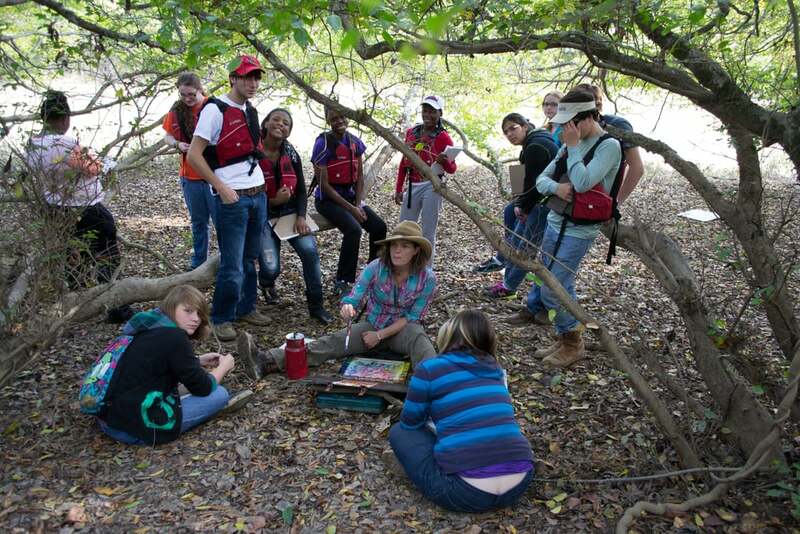 I have been working with groups of all ages and backgrounds in wild and urban settings since 1999. Though I love wildlife refuges and nature trails for workshops, I believe “wild” is everywhere. Learning to see and be aware of it is one of the core teachings of the creative space that I host for participants. Contact me at robinwhitfieldstudio@gmail.com to discuss and customize a workshop to fit your needs. What is earth color? colors found in the wild. Colors may come from mud, leaves, berries, flower petals, mushrooms, charcoal or mineral deposits. 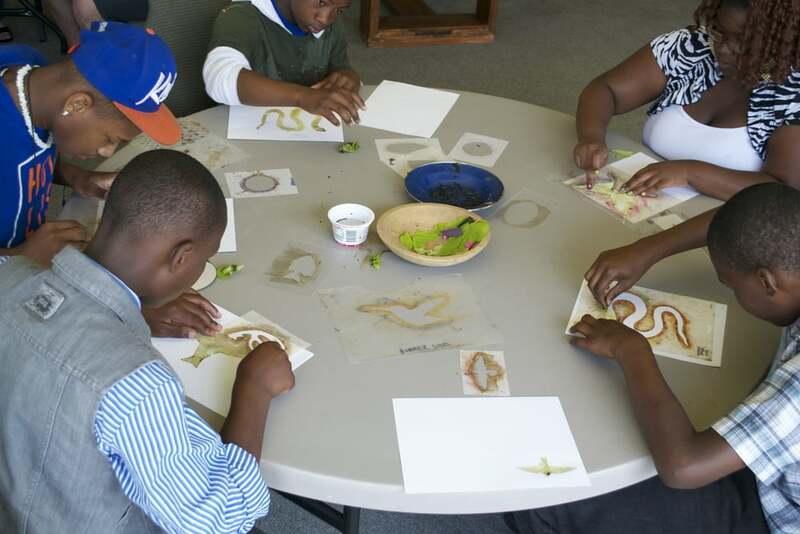 Earth Color workshops are for artists and nature lovers. 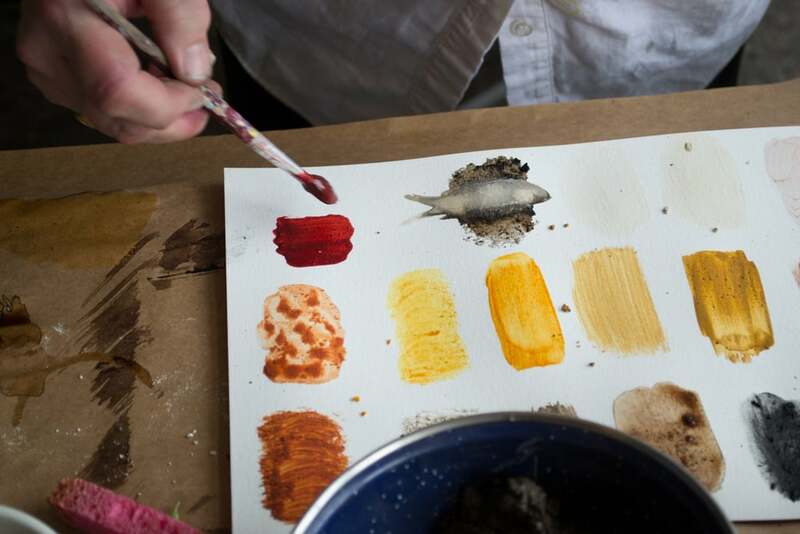 They offer experience with hunting, gathering, refining and using found color to draw and paint on watercolor paper. Both scientific and poetic, this process will expand ideas about ecology, natural areas, art materials and composition. This is a process oriented workshop. Prepare to get your hands dirty!